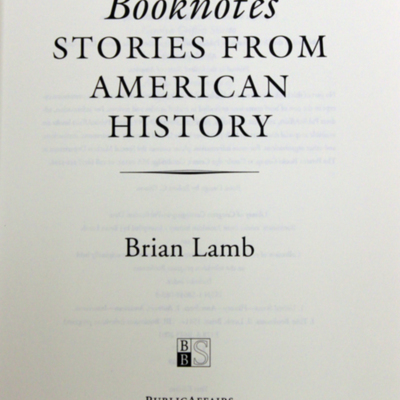 Booknotes: stories from American history. · One Book. One Author. One Hour. 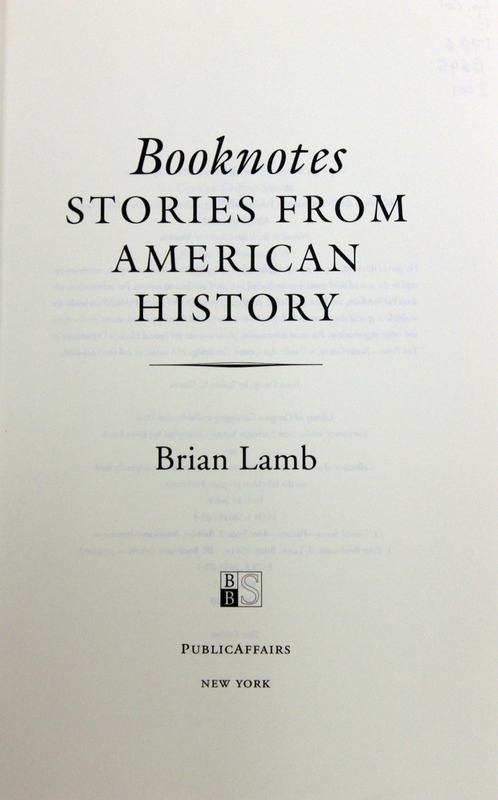 Lamb, Brian, 1941-, “Booknotes: stories from American history.,” One Book. One Author. One Hour., accessed April 24, 2019, http://booknotes.gmu.edu/items/show/3088. Collection of essays by various authors based on interviews originally held on the television program Booknotes. Contemporary writers and historians examine specific events that have shaped American history, from the Boston Tea Party to the final days of the first Bush administration. New York : Public Affairs, c 2001.